Are you looking ahead to next school year of 2019-2020 for your child’s GA Pre-K program? CLICK HERE to begin your enrollment process today. 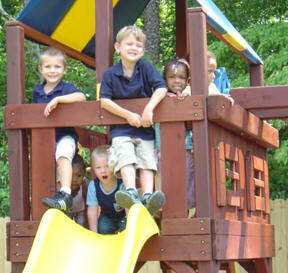 As a daycare provider in Hiram, Georgia, Noah’s Ark Christian Academy is proud to offer quality childcare to children from toddlers to before/after-school care for school age children. We provide a com plete education for our Pre-K students, focusing on fundamentals while encouraging a lifetime of growth and wonder. A creative, individualized and coordinated curriculum from class to class is offered, with emphasis on traditional core subjects: Language Arts, Social Studies, Mathematics, and Science. We set high standards for our curriculum. We are dedicated to providing our students with the academic and socialization skills they need to compete in the global arena. Our school culture promotes Christian values, respect for others, personal responsibility, and the ethics of good citizenship. We employ a team-teaching and subject-specialized approach to education, whereby each faculty member functions in his or her area of personal strength. Class size is limited, enabling us to design in-class activities that promote creative thinking and problem-solving skills; reinforcing positive social and emotional confidence. Our smaller preschool classes are the cornerstone to individualized attention your child needs and deserves. We create the forum for creative self-expression and group participation through our structured curriculum. We provided the tools and skills necessary for your child to enjoy a seamless transition from daycare to Pre-K, kindergarten and beyond. Healthy meals and snacks are provided, extensive outdoor play area, including a T-ball fields, a concrete area for cycling, hopscotch, and basketball. Completely fenced with multiple play areas, Noah’s Ark Christian Academy also features an enclosed nature trail and picnic area. Our daycare facilities are second to none. Call us for a personal tour! Noah’s Ark Christian Academy is located just south of the intersection of Highway 278 and Highway 92 in Hiram, at 199 Hiram Douglasville Highway. Noah’s Ark Christian Academy is locally owned and operated. We look forward to meeting your family and providing you with high quality childcare! MISSION STATEMENT The mission of Noah’s Ark Christian Academy is to provide a positive and nurturing environment in which to enhance the development of each child. It is our commitment to combine physical, ethical, and spiritual development with a high education in order to provide a solid foundation from which children can achieve their ultimate potential. OUR PHILOSPHY NACA believes that positive reinforcement is a process of teaching children how to behave appropriately. Positive reinforcement is encouraging children to make the right decisions and reinforcing positive behaviors. Parents and teachers will need to work together in order to be consistent and effective in encouraging children to use good manners, respect authority, and make appropriate decisions in a classroom setting. No form of physical punishment will be tolerated at NACA. We will not tolerate any forms of physical or mental abuse on the part of any teacher, staff member, child, or parent. Any such incidents will be evaluated individually and may result in termination of the staff member or releasing the child from NACA without refund. STATEMENT OF FAITH *We believe the Bible to be the inspired, the only infallible, authoritative Word of God. *We believe that there is one God, eternally existent in three persons Father, Son and Holy Spirit. *We believe in the deity of our Lord Jesus Christ, in His virgin birth, in His sinless life, in His miracles, in His vicarious and atoning death through His shed blood, in His bodily resurrection, in His ascension to the right hand of the Father, and in His personal return in power and glory. *We believe in the present ministry of the Holy Spirit by whose indwelling the Christian is enabled to live a Godly life. *We believe in the spiritual unity of believers in our Lord Jesus Christ.